It's beginning to look a lot like Christmas at STAMPlorations! 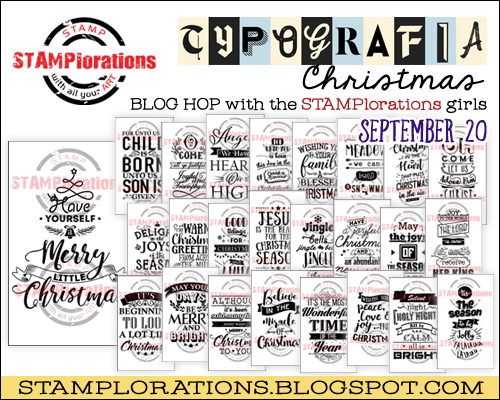 Shery has added a sleigh full of new, wonderful Christmas Typografia stamps to the STAMPlorations line up! And to celebrate, we're having a Christmas Typografia hop! 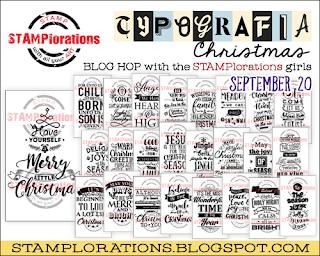 Prize: One lucky commenter will win her choice of 3 Typografia Christmas stamps. The winner will be randomly drawn from all comments left on the STAMPlorations blog and participating designers' blog. Commenting closes on Monday, October 9. Winner will be announed on October 10th. 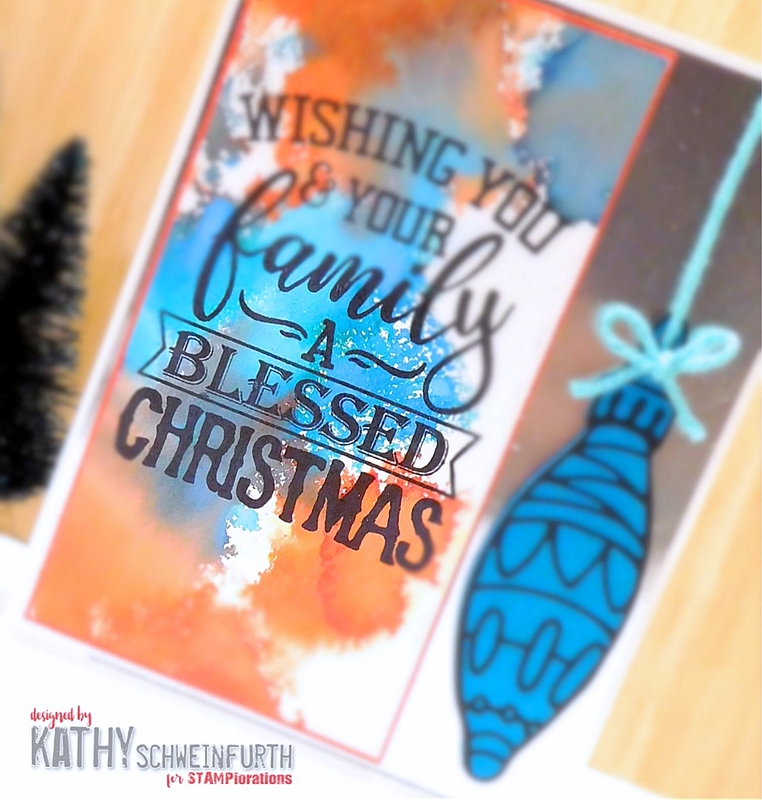 Special deal: The Christmas Typographia stamps are currently 5% off, but for stopping by my blog, you can get them at an additional 20% off when they use STAMPGIRLKATHY code !!! For my first card, I used the All Ye Faithful Christmas Typographia stamp set which is gold embossed. The bottom was created using the Poinsettia Row stamp. The Typographia stamps make creating a project super easy and are so versatile (check out the other Design Team members projects for even more inspiration!) not to mention the sentiments themselves are fabulous! For my next card, I created a watercolor background panel and stamped the Blessed Christmas Typographic stamp and layered onto a shiny silver cardstock base. 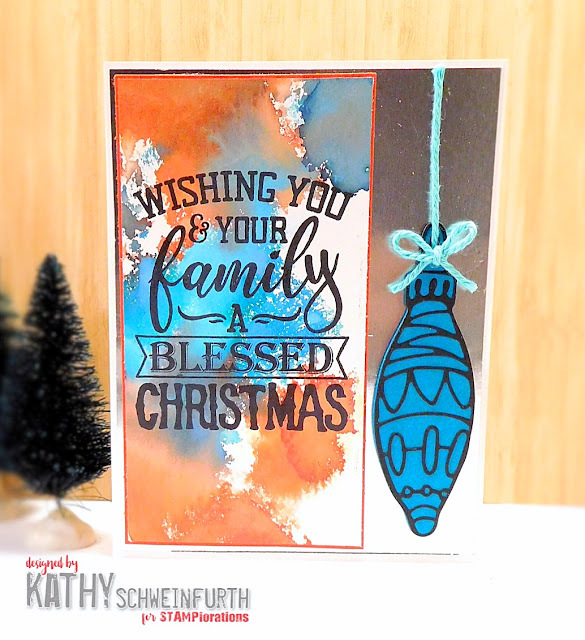 The pretty ornament used is a die from the CUTplorations collection: Christmas Baubles #2 Layering Dies. Very pretty and elegant. I love the colors you used on the BG of card no. 2. Not your typical Christmas colors and that's what I like. These are awesome cards with pretty unusual color combos but that's great to experiment a little bit. Fabulous cards. I like how elegant the first one is. Beautiful cards. Especially love the second one. Once again, I'm blown away by your creativity; you've showcased these sets beautifully! The poinsettia row and sentiment pairing of the first: swoon! Glad I don't have to select a favourite; they're both outstanding! I just love how you embossed the O Come all ye faithful sentiment in gold. It really makes it pop! I think that new sentiment is my favourite of this new typography style. Fantastic cards!! I'm so in love with the first one! Gorgeous! Beautiful Xmas projects!!! Love the sentiments!!! 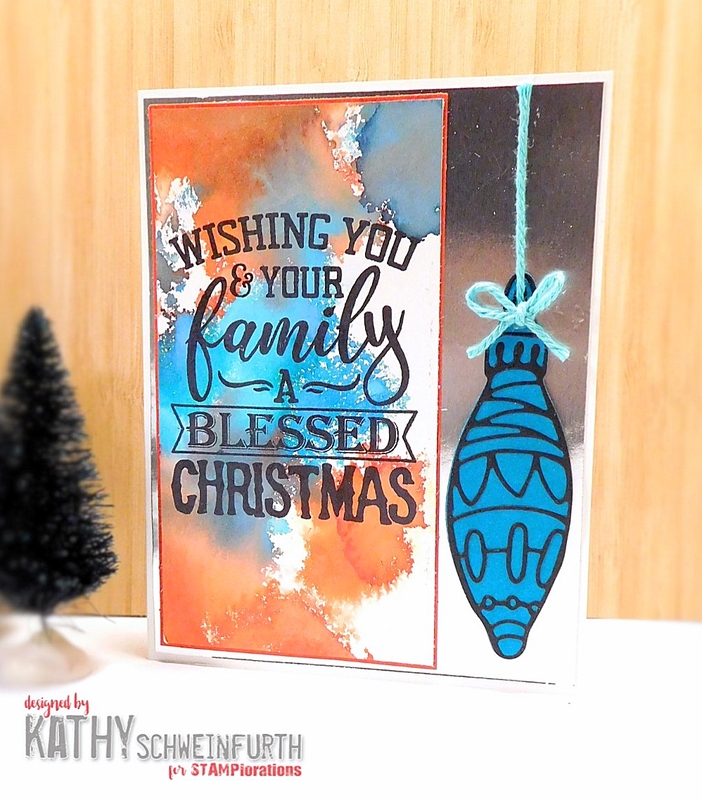 I’m so enjoying the beautiful cards you make since I discovered your blog! Love the fancy text for Christmas cards! division of the second is very colorful. ooh, both are so different and so beautiful, I love your design!